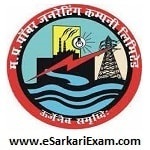 Education Qualification : Passed High School(10th) Exam and ITI Certificate Course in Machinist/ Fitter/ Welder/ HP Welder / Mechanic Pump/ Mechanic Vehicle / Electrician/ Wireman/ Motor Mechanic/ Diesel Mechanic / Electronics/ Instrumentation Trade with minimum 60% Marks from Institute Recognized by MP Govt/Central Govt(Note- Relaxation in Marks for SC/ST Category Applicants). Eligible Candidates can Submit Application at the Official Website of MPPGCL latest by 23rd October 2018. Applicants First Logon to MPPGCL Official Website. Open Rulebook for Plant Assistant(ITI) Trainee Recruitment Link. Now Open Click Here to Apply for Plant Assistant(ITI) Trainee Recruitment Link.